THAT a card featuring new boxing superstar Manny Pacquaio and Manchurian Hitman Ricky Hatton is next year's biggest opening megafight to look forward to is beyond argument. Not only will it be a blockbuster of phone booth brawl. It will also ignite and whet the appetites of the most rabid fight fans from United Kingdom and this part of Asia. Whether it is held in Las Vegas (again), at the Wembley Stadium that will seat 100,000 fans or in Dubai where the two could meet halfway and where Manny will not be wanting with fellow Filipino partisans, it has money written all over. But there is one side show I would like to see after the fight is over. And I am placing my retirement fund that Ricky will knockout Manny cold and out of his feet. Come to think of it, who do you guess will be the last man standing if you pit Manny against Ricky in a beer-guzzling post fight Gunfight at the OK Corral? Hatton is the classic Brit who cannot seem to wait for his fight to be over before he rushes into the pub for his ale, welts and bruises all over. Manny may not be as beer-thirsty in all his post fights, but tales of his indulging in booze when not in training is no tale at all. Manny drinks, too, period. When the two square off inside the pub, it should be the biggest brawl in, nay outside of, boxing world. I bet Manny will loose this one. 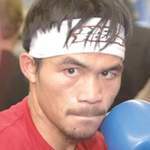 While Manny may down us leisure drinkers (his favorite is San Miguel Light), he will not be up against Hatton who does not drink water at all according to rumors. But seriously, before we get punched by Manny for even daring him to face Ricky in dusk-to-dawn 'pa-morningan' beer guzzling draw, a May or June face off with Hatton would be the most interesting fight to look forward the whole of 2009 – that is if Floyd Mayweather Jr., does not come out from his retirement cocoon. Ricky is fast to the draw and furious with his punches. He rushes forward like a speeding truck. Manny, on the other hand, is a whirldwind – a tornado in fact. One who packs his punches in bunches. He also is like a bull. But a bull who could move sideways, backward and forward that bullfighter could not handle. It is interesting to see if Hatton could hit Manny at all before he gets his arse kicked out. 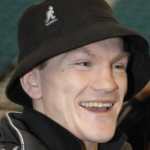 For Ricky Hatton's WBC light welterweight crown, I will predict a Manny win. And this one will not go the distance. We may yet again see Manny drive another champ into retirement. After all, Manny just earned his new moniker as the The Finisher. No worry Ricky, you will get your pay and all the beer to drown all lifelong. You may even get to open a pub of your own.